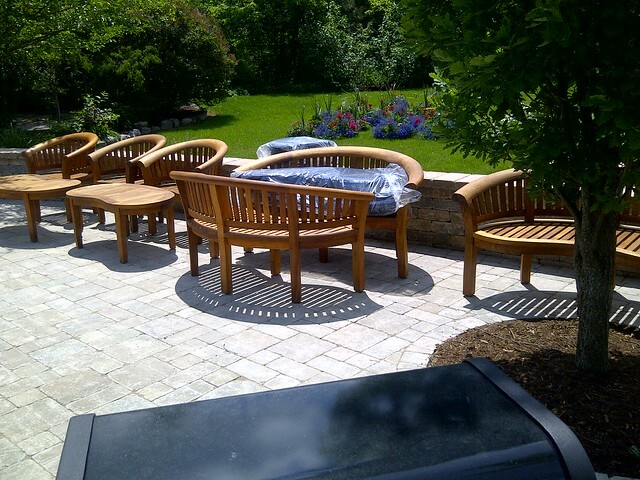 We take pride in the fact that our furniture is delivered to your home assembled, sanded and ready to use. Finishing with Sikkens Cetol 1 oil available at an extra cost. We only sell grade A teak furniture. Grade B comes from teak trees less than 15 years old. Water damage will ruin the furniture in a few years. How can you tell the difference? Lift up a corner of the furniture — grade A teak feels very heavy. 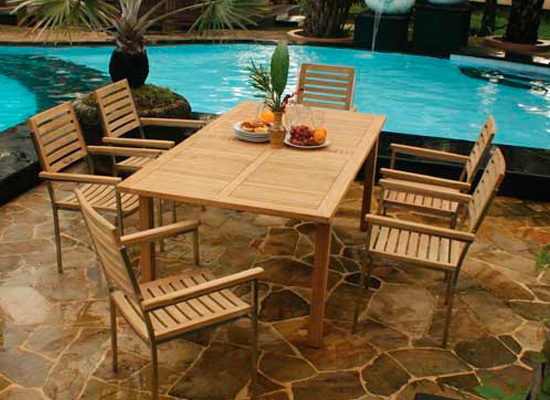 Why is teak the best choice? 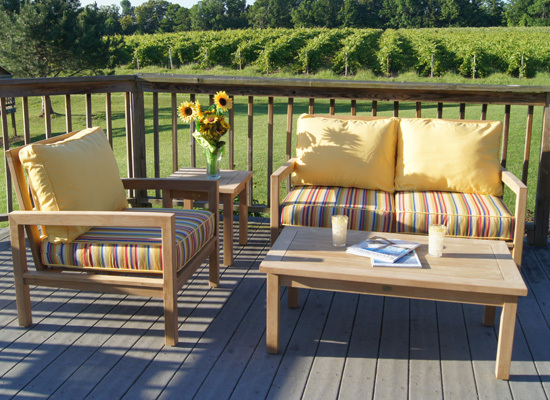 Can you leave teak outdoors all winter?